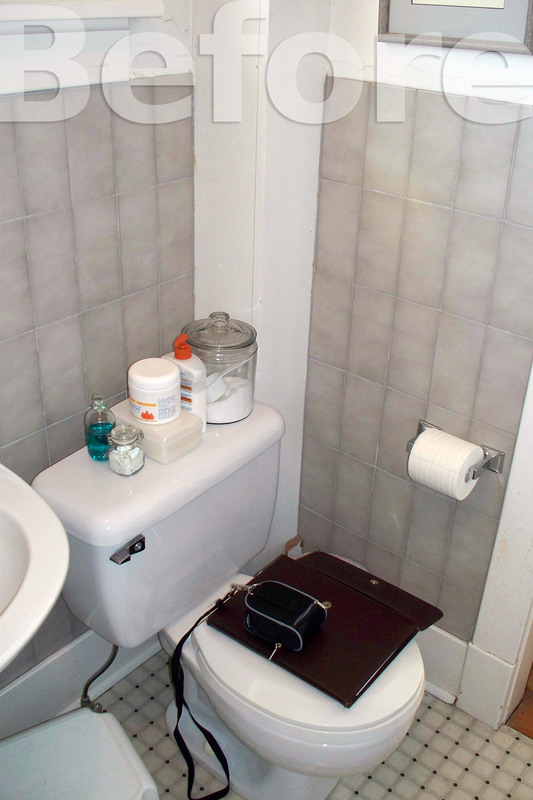 This turn of the century home still had the classic cramped 3 pc. 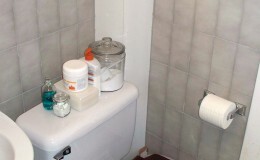 bathroom in use. 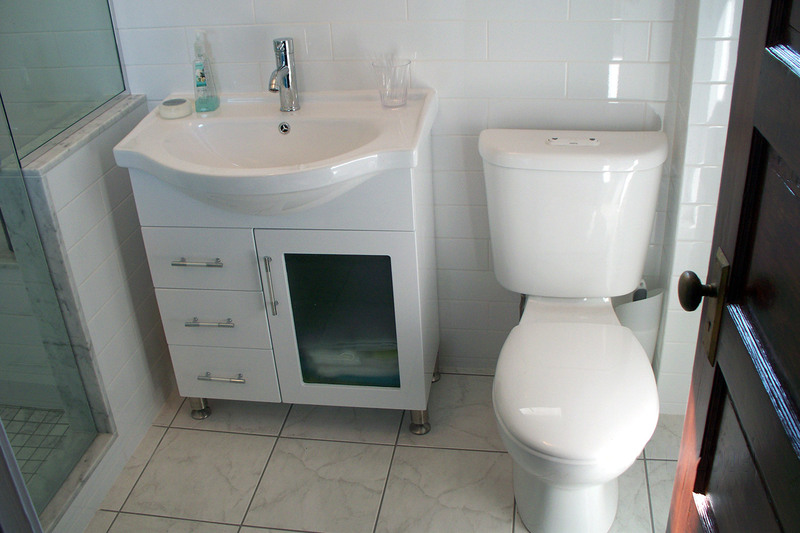 Not being able to expand the bathroom but in bad need of upgrading, some clever design ideas were used to visually enlarge and enhance the users experience. 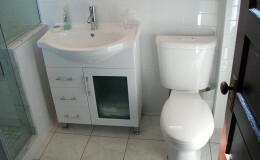 A small bow front vanity / sink allowed for more floor space but kept good functionality available. 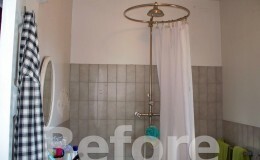 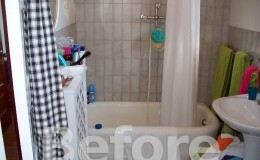 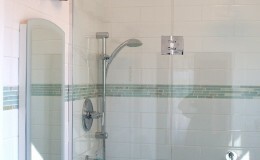 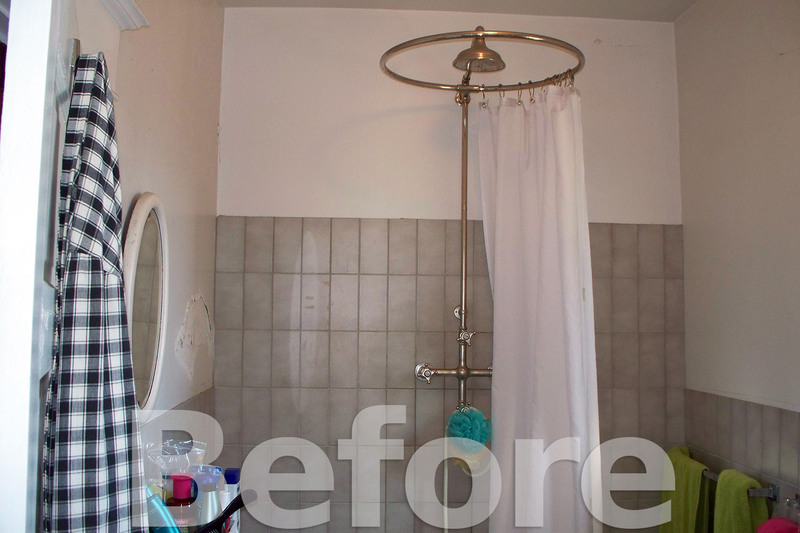 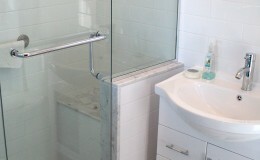 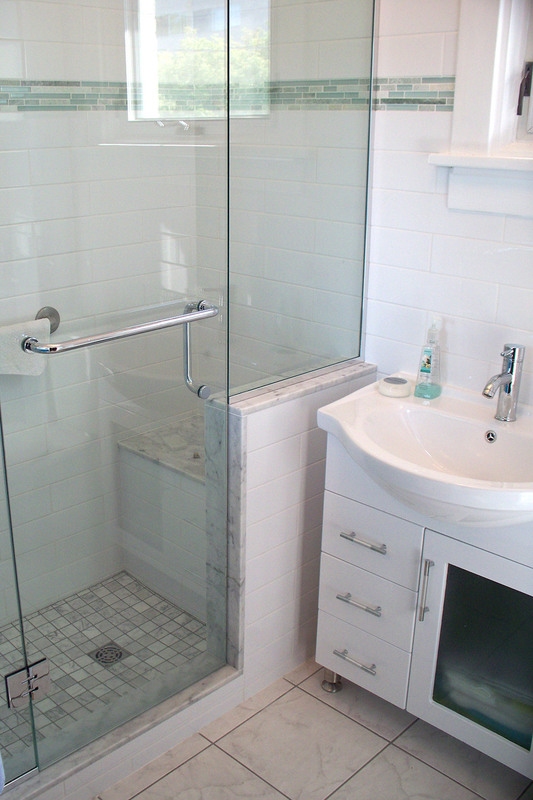 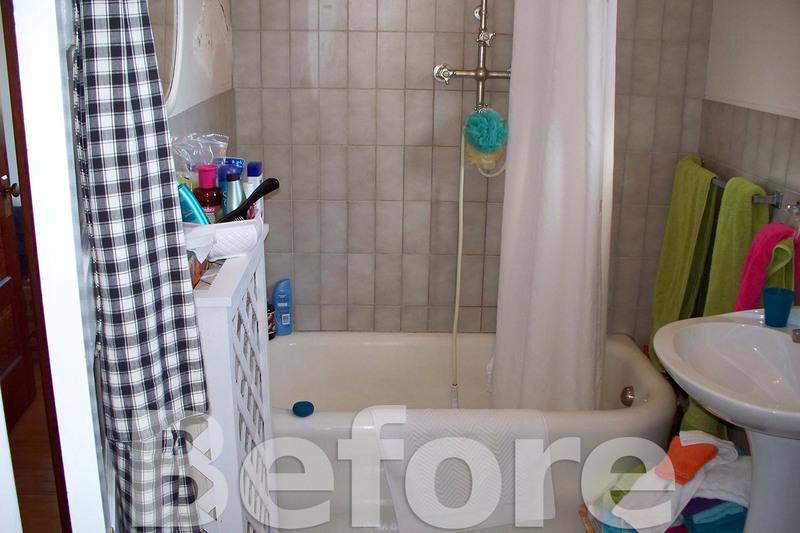 The tub was removed and a shower only was created from tile and glass. 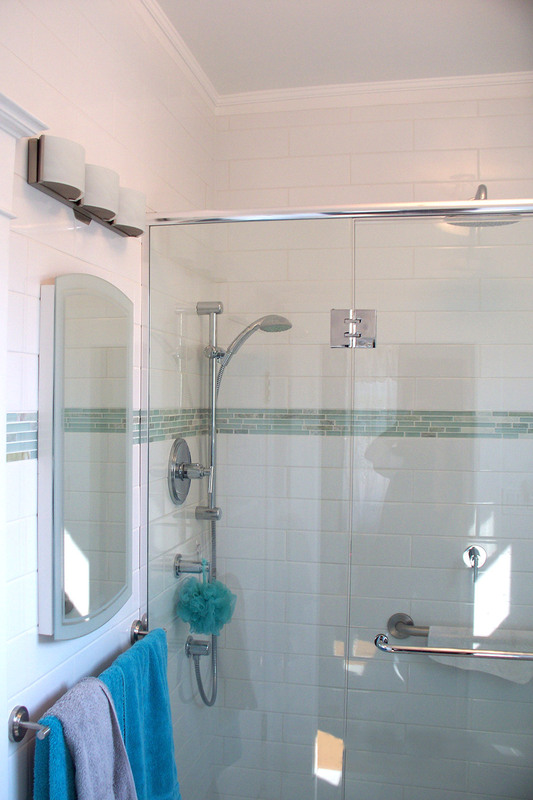 The bright white field tile and aqua green accent tiles that flowed seamless from wall to wall tied the space together yet visually brightened and opened it up at the same time.